While a drop in the bucket may not be much, many drops of water falling into a bucket — or water bottle, for that matter — can add up over time. Such is the way with gifts to the UC Davis Library through the Annual Fund and the impact those donations are having on UC Davis students. Donations of $1, $5, $20 or more to the Library Annual Fund have been pooled together to create a sum that enabled the library to purchase a new hydration station for library visitors — 96 percent of whom are UC Davis students. 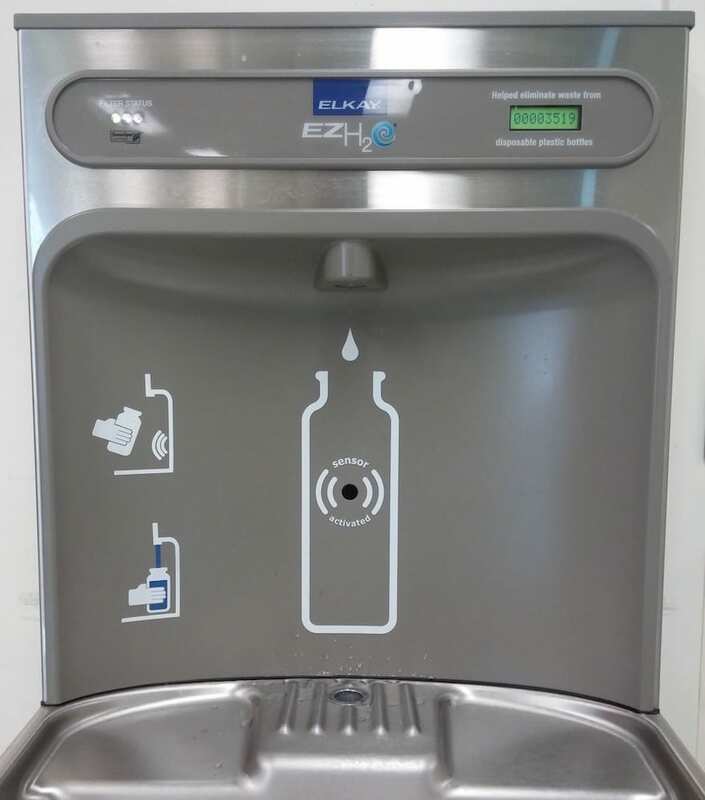 Centrally located, this hydration station provides students with an easy-to-use and sanitary way to refill their reusable drinking bottles with purified water. In less than a year, the hydration stations have been used to fill more than 65,000 bottles of water. The hydration stations also help the library participate in the university’s efforts to be a leader in sustainability and become a zero-waste campus by 2020. Thanks to improvements such as the addition of new hydration stations, which help reduce plastic water bottle waste, GreenMetric recently ranked UC Davis the No. 1 most sustainable university in the world. In addition to providing students clean water — a liquid that is essential to all life on earth — Annual Fund dollars have been used to help the library purchase equipment that can support something that is a lifeline for nearly every student — cell phones. Donations from the Library Annual Fund were used to purchase rapid charging stations for library patrons. The charging stations, in addition to providing students with juice for their phones and tablets quickly, also have an added security feature of digitized locks. These coded locks give students freedom to leave their phone in the charger without worry of them being stolen. This allows students to stay in their favorite study area, remain in a group working session, or continue to explore the library’s collection while their device is charging up. And for those who want to fill up on their vitamin D while studying, this spring the library added tables and chairs to the Peter J. Shields Library Courtyard, which allow more students to enjoy fresh air and sunshine while studying outside.